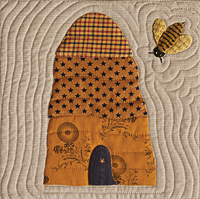 Finished size - 21" x 45"
Invite the happy, humble honey bee into your life with this table runner. Both applique and piecing techniques are used to make the three center blocks. 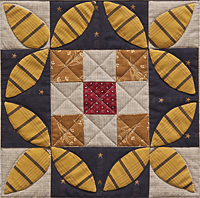 This kit includes the printed pattern and all the fabric required to make the quilt top.